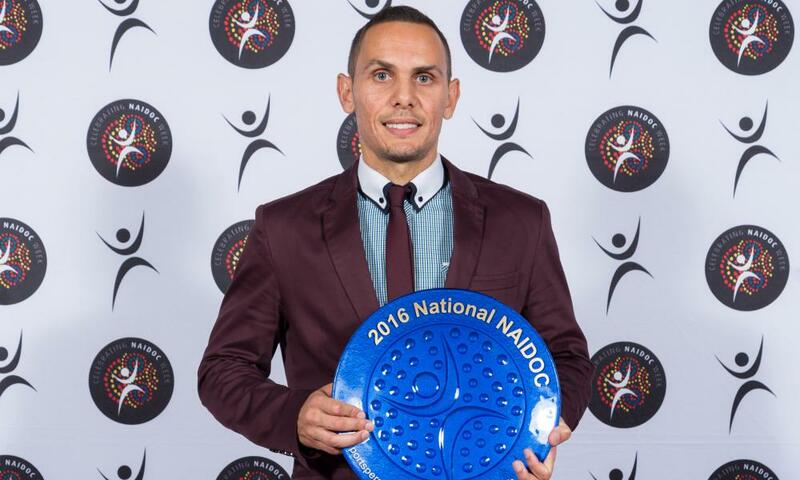 Jade North of the Biripi Mob from New South Wales is a two-time A-League championship winner and Olympian. Jade was the first Indigenous captain of Australia’s representative football team, the Socceroos, and has spent four years playing professionally overseas. An ambassador for the Mini Roos, the Leukemia Foundation, the Indigenous Games and the Indigenous Football Championships, Jade is an inspiration beyond the sports field. His strength has taken him from a broken home and a battle with depression to where he is now; lead defender for the Brisbane ROAR football club and Dad to three boys. Giving back to the community he also runs a football clinic called Kickin with a Cuz, using inclusion through sport to uplift disadvantaged kids. Jade’s journey and accomplishments have made him strong and determined to inspire passion in others.